A 10-year-girl, left alone in a car in a busy Mumbai neighbourhood, disappears. Her actor-father and his casting agent-friend go to a nearby police station to lodge a complaint. What ensues is by far the best-written scene in Anurag Kashyap?s Ugly, a disquieting noir thriller that hinges on a slew of dodgy characters prone to dangerous temptations. The police station conversation is amusing and annoying at once ? amusing for the audience, annoying for the two worried men desperately seeking a sliver of hope. The inspector (National Award-winning Marathi screenwriter and actor Girish Kulkarni in his first Hindi role) turns the tables on the duo with a mix of pokerfaced humour and unrelenting examination. The complainants become the prime suspects, and once the screws are tightened there is no escape for either of the two men. The funny side of the sequence, though thoroughly engaging by itself, appears to somewhat dilute the shock of the little girl?s disappearance. And that is the problem with Ugly as a whole. The fate of the girl (played by Anshika Shrivastava) recedes to the background as the film?s large gallery of characters labours to save their own skins or get others into trouble. Every step that each of them takes only makes matters much worse than they already are. The build-up of tension is swift but somewhat mechanical. It becomes obvious soon enough that none of the characters is completely above suspicion. With the exception of the aforementioned inspector, the dangerously desperate people that we see on the screen are too intent on self-preservation and singularly devoid of humour. Yet the skewed mind games that they play with each other do not generate the sort of sustained drama and intrigue that could make this an edge-of-the-seat police procedural. Ugly does, however, provide unsettling insights into the ugliness of human selfishness and greed. The film has three main characters ? an aspiring actor waiting for a breakthrough in films (Rahul Bhatt), his alcoholic former wife (Tejaswini Kolhapure) and a vicious police detective (Ronit Roy) who is now the woman?s husband. While the acts of despair and anger that the trio resorts to in their attempts to settle old and current scores with each other lie at the heart of Ugly, many other shadowy figures float in and out of the frame, each adding his or her twisted mite to the increasingly confusing mayhem. The police officer?s mistreated wife ? she lives like a caged animal under the constant watch of a dutiful orderly ? has a brother (Siddhant Kapoor) who hopes to use his links with the nasty police officer to his advantage. She also has an actress-friend (Surveen Chawla), another unhappily married woman whose own designs are just as fraught with danger as those of the others. And of course there is the casting agent (Vineet Kumar Singh) who moves centrestage every now and then with his steadily mounting greed. Ugly is about a bunch of perverse people fishing in troubled waters as the mystery of the missing girl deepens. The screenplay and the directorial methods are direct and realistic. The film is shot largely in dimly lit spaces, reflecting the darkness of spirit that is on show here. Ugly works best when it focuses on the depression-afflicted woman who contemplates different ways of committing suicide. She is the most vulnerable of the characters and, as a hopelessly trapped woman caught between two men who make no effort to understand her, comes the closest to evoking a degree of sympathy. The rest of the mean-spirited dramatis personae, driven solely by their survival instincts, can only invite outright revulsion. 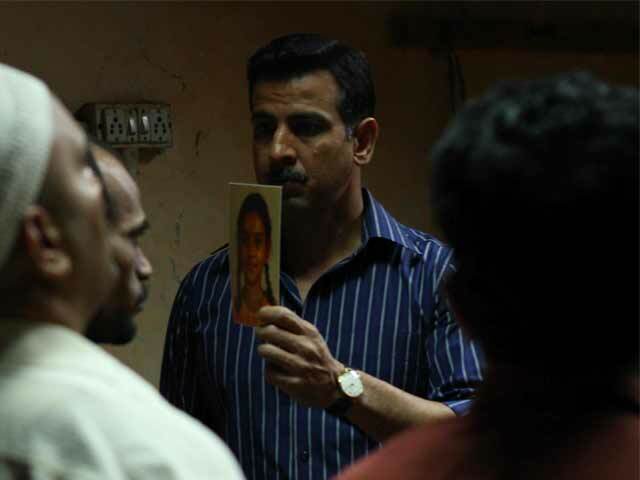 Evocative atmospherics, wonderfully apt cinematography, sharp editing (no mean achievement in a film that has so many characters jostling for attention) and a clutch of measured performances (notably by Ronit Roy, Vineet Kumar Singh and Girish Kulkarni) make Ugly a compelling enough film. This may not be Anurag Kashyap?s best film, but it is infinitely and indescribably better than all the muck that mainstream Bollywood passed off for entertainment this year.